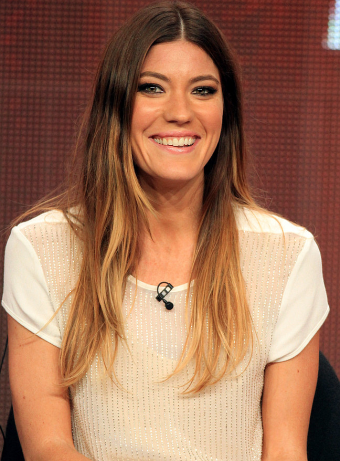 Dexter Daily: Jennifer Carpenter: "I’ve Got a Lot More to Do As an Actor, I’m Really Good at the Math of Comedy"
Jennifer Carpenter: "I’ve Got a Lot More to Do As an Actor, I’m Really Good at the Math of Comedy"
Via: xfinity.comcast.net: Jennifer Carpenter is ready for a laugh. After six years of playing serial killer Dexter Morgan’s (Michael C. Hall) tough, foul-mouthed sister on “Dexter,” the thirty-two year-old says she’s looking forward to lighter fare once the show ends its run in Season 8. Love her. Can't wait to see what she does after Dexter. I hope she continues to shine and start to get the recognition she deserves in her own right. Time to exit the womb... Yes, I feel she has been over shadowed and over looked a little bit in Dexter so far, especially where award nominations are concerned. But that may change in these next 2 seasons. I hope so! She's a admirable actress. I enjoyed her performances in "The Exorcism of Emily Rose" and "Quarantine" as well as in "Dexter". The way she acts is always pleasant to watch. It's not boring. It has character. She's not one of this typical hollywood actresses who can easily replaced by someone else. It's a shame she didn't get the reward she deserves. But, so what? Her fans love her and that should worth a lot more than any award given by a jury. I've seen pretty much everything she's been in, but that one was difficult to make it through!